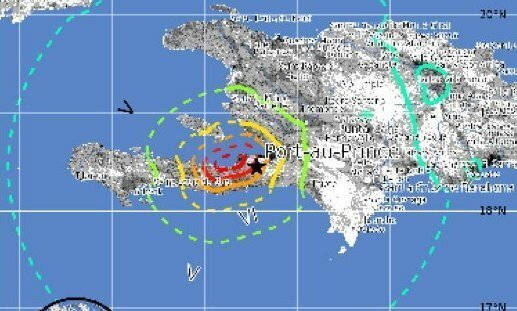 Updates from Haiti below — Follow the latest breaking news via our Haiti Twitter list — See the latest images here — Read the latest from the AP here — Find out how you can help here. Once you’ve survived the earthquake, what happens? Haitians now face a daunting set of health challenges, including typhoid, dengue fever, malaria, and getting treatment for serious injuries. 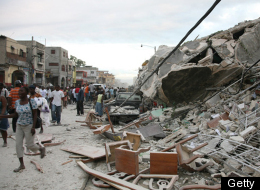 While health information coming out of Haiti is still very sparse, data from previous earthquakes gives us a clear impression of what to expect in terms of health. The initial impact of an earthquake is catastrophic injuries – broken bones, crush injuries, dust inhalation, and burns predominate. 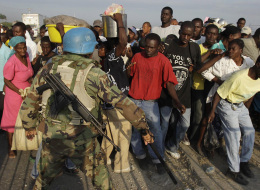 You can see this in the heartbreaking videos coming out of Port au Prince. Injuries are made worse by the obstacles to getting treatment – hospitals are just as likely as other buildings to be destroyed in a quake and roads will be impassable. At least one hospital in Haiti has collapsed, and the Times of Zambia is reporting only one functional hospital in the country, a field hospital donated by Argentina. Emergency care is going to be almost impossible to access, and the greatest demand for medical care is in the first 24 hours after an earthquake. The Obama administration is temporarily suspending deportations of undocumented Haitian nationals who are in the United States, Florida Gov. Charlie Crist said Wednesday at a news conference in Miami. But there are no immediate indications from the Obama administration that it would grant Haitian nationals Temporary Protected Status in the aftermath of Tuesday’s earthquake. 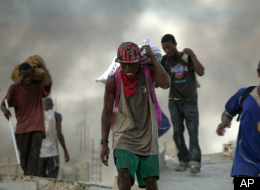 PORT-AU-PRINCE, Haiti — Haitians piled bodies along the devastated streets of their capital Wednesday after a powerful earthquake crushed thousands of structures, from schools and shacks to the National Palace and the U.N. peacekeeping headquarters. Untold numbers were still trapped. President Rene Preval said he believes thousands of people were dead from Tuesday afternoon’s magnitude-7.0 quake.